Lynde, Denyse. "CODCO". The Canadian Encyclopedia, 04 March 2015, Historica Canada. https://www.thecanadianencyclopedia.ca/en/article/codco. Accessed 18 April 2019. After the Ontario performance, CODCO returned to Newfoundland and, following a run in St John's, toured the province. Five of the original theatre troupe members reunited in 1985 for a national tour, followed by the CODCO television series. 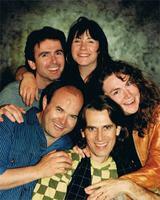 L to R: Tommy Sexton, Andy Jones, Cathy Jones, Greg Malone, Mary Walsh (photo courtesy of White). In 1973, CODCO produced the first version of Cod On A Stick, Another Fun Food Show, in Toronto, with $300 seed money from Paul Thompson and Theatre Passe Muraille. This curious Toronto beginning of what became a distinctly Newfoundland troupe pointed not only in the direction their future work would go, but to what was an unspoken mandate. Cod On A Stick was a series of short comic sketches of supposed contemporary Newfoundland life. What was immediately apparent was that CODCO, while successfully satirizing its own culture, was also lampooning the, at times, earnest and frequently naive characteristics of community collective creation so fondly embraced by its Ontario theatre sponsors. For CODCO, nothing was sacred; the more untouchable the target, the more savage and swift the attack. After the Ontario performance, CODCO returned to Newfoundland and, following a run in St John's, toured the province. By 1974 and the production of Sickness, Death and Beyond the Grave, CODCO's membership consisted of Andy Jones, Cathy Jones, Bob Joy, Greg Malone, Diane Olsen, Tommy Sexton and Mary Walsh, a membership that would remain stable until 1976. (Paul Samtez was involved in the original Toronto production of Cod on a Stick only). 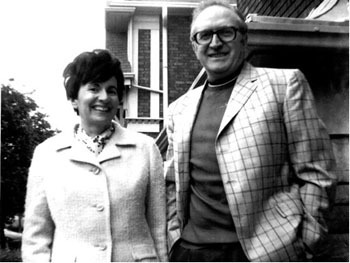 CODCO, composed of Newfoundlanders who had at one time left their home to pursue individual artistic careers, created and developed material from a Newfoundland experience. But judging from their numerous national and international tours, CODCO's unique blend of brutal satire and whimsical humour spoke to a universal audience. Their dramatic technique, while basically remaining the short sketch format, changed and evolved through production and touring. This development can be traced back to a collective process; initially material was created by the group or at times singly or in pairs, but finally it was brought back to the company, which reworked and scripted it. The tours, through Canada and the United States, frequently consisted of composite shows, mixing old and new material, thereby allowing a honing of familiar scripts while, at the same time, exploring new material. Complementing this frequent, workshop-like process, was CODCO's work with musicians such as Figgy Duff and various television projects. Music, always present in their work, became increasingly important in Das Capital: Or What Do You Want To See The Harbour For Anyway? (1975) and subsequent productions. Film clips, integrated into performance, also became an important element of their work as is evident in Would You Like To Smell My...Pocket Crumbs of the same year. CODCO's reputation and subsequent success stemmed from two inter-related phenomena. The subject matter of their material, frequently irreverent and always biting, was relentless in its attack on a wide variety of social issues. Whether dealing with blindness, child abuse or teenage pregnancy, CODCO took the stereotype and sketched in its outline to a startling clarity. Combined with the strong, almost piercing comic talents of its individual members, CODCO's strength was unparalleled. 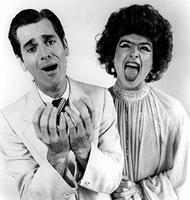 The "Andy" characters, the "Cathy", the "Tommy" characters and so on became refined and developed as the dramatic technique evolved and deepened. In considering CODCO, material and performer remain closely intertwined. Following The Tale Ends in 1976, CODCO members pursued individual careers until 1985 when, with the exception of Diane Olsen and Bob Joy, they were reunited to produce a benefit show. Following a national tour, CODCO was contracted by Salter Street Films for a series of televised broadcasts. With Salter Street Films until 1992, CODCO remained true to its past theatrical practices by revising working conditions and creating material for television on the short comic sketch pattern. Occasionally theatre material appeared, but increasingly new material was developed in response to the new medium and audience. Regardless, the key to their theatrical success was echoed in their film production. Once again, the sharply satirical material combined with the comic talents of the individual performers created a uniquely irreverent view of current affairs. However, such collective creation took a heavy toll on the individuals involved. In 1991 Andy Jones left the television series over artistic differences, and in 1992 the remaining members again disbanded. Since the untimely death of Tommy Sexton in 1993, the remaining CODCO members have been pursuing individual careers in theatre, television and film. The CODCO papers are housed at the Centre for Newfoundland Studies Archives, Memorial University. Helen Peters, ed., The Plays of CODCO (1992).